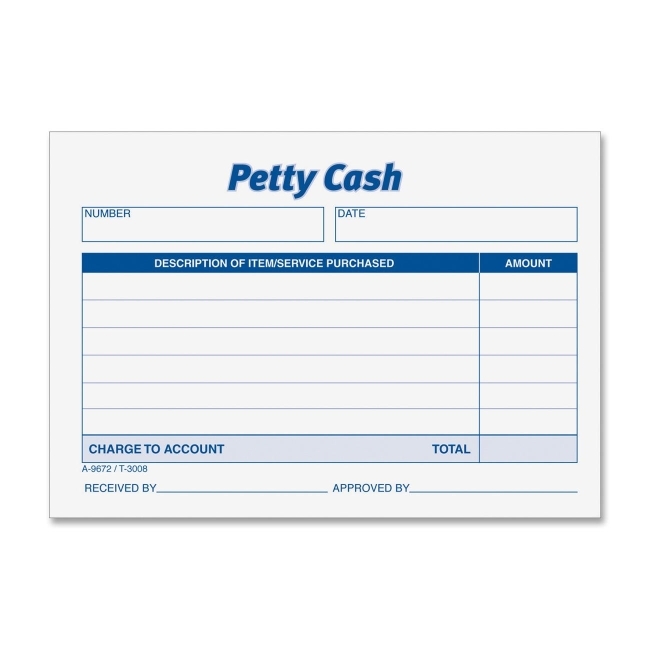 Received Petty Cash features a two-signature format for extra cash control. Pad contains white bond forms that are simple, effective. Each form offers a place for date, itemized list of description/service, cost and total cost. The bottom of the form includes two preprinted prompts for "Received By" and "Approved By." 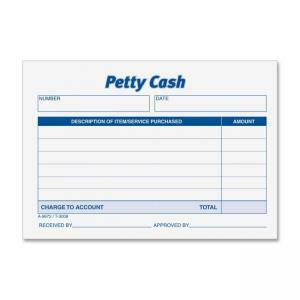 50 sheets per pad.